This black and white photograph shows the Missouri- Kansas-Texas Railroad depot at Parsons, Kansas. 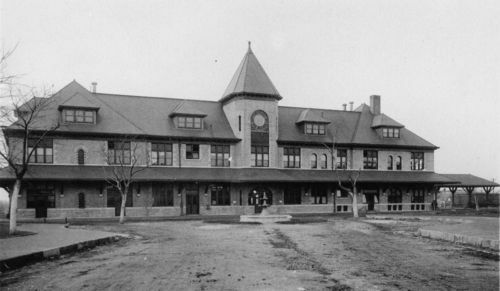 The depot had a large dining room, restaurant, and self-winding clock in the tower. The depot burned to the ground in March of 1912.